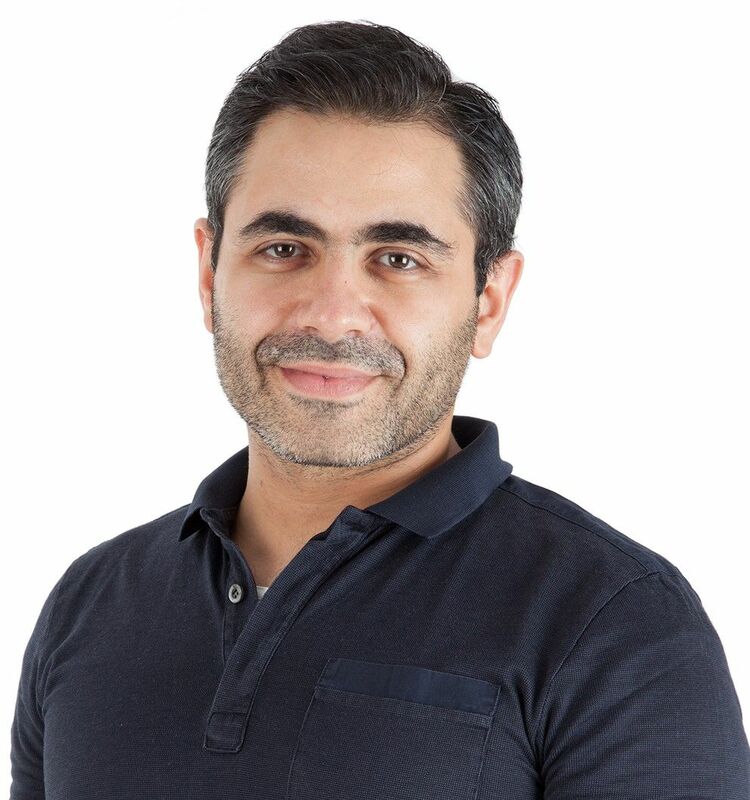 Coworking spaces are popular features in startup hubs across MENA, giving businesses, entrepreneurs, and freelancers access to a stable, yet non-traditional work environment where they can jumpstart their ambitions. Tangible benefits of coworking spaces include access to networking opportunities, high-speed internet, mentorship, and financial flexibility created by not having to rent or lease an office. They also offer intangible benefits, like the opportunity to work around like-minded and ambitious individuals. But like the startups that inhabit them not all coworking spaces are identical. Located in Amman’s vibrant Jabal Weibdeh neighborhood is Hayyez. 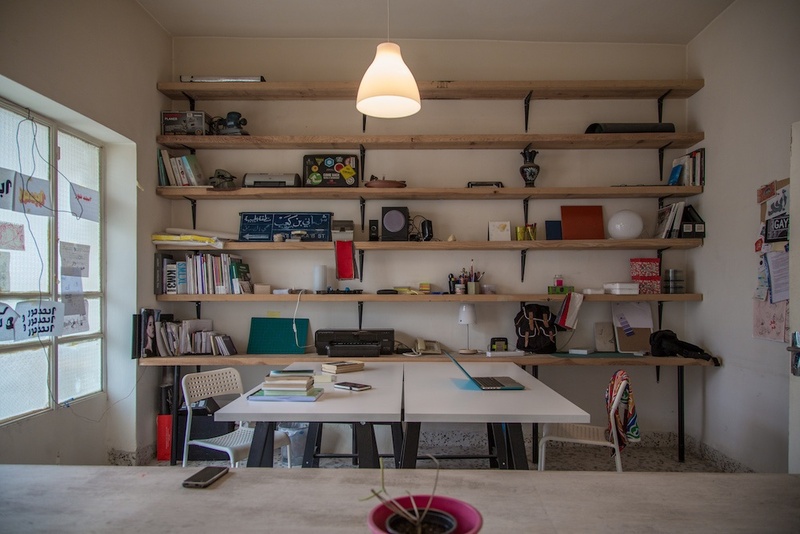 Founded by a group of self-employed architects in 2014 Hayyez is now home to a community of graphic designers, architects, journalists, and entrepreneurs who rent desks and rooms. 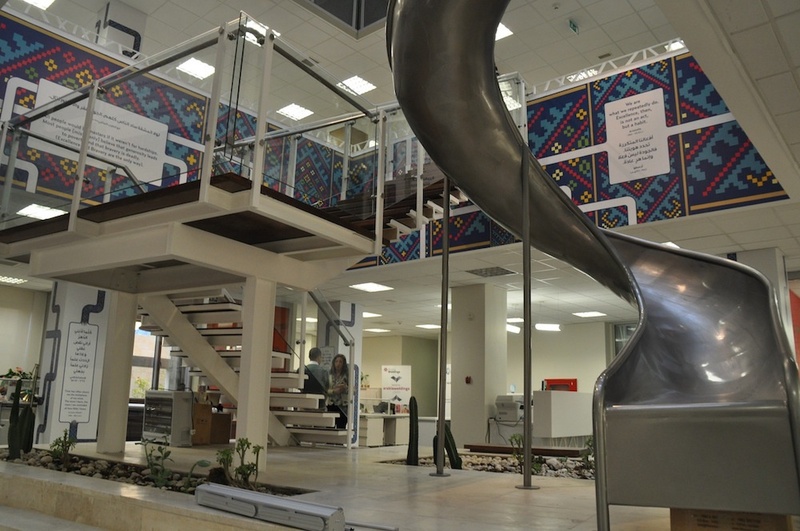 Located on a quiet residential street, it’s become an oasis for those looking to remove the impediments to creation and productivity. On their own, they enjoyed their newfound freedom but soon a nagging issue emerged. “We wanted a place where we could work; we couldn’t stay working in coffee shops,” she said. They rented an office, but it ended up being too stuffy, reminding them of their time as working stiffs. After a friend established an office in a residential house, they decided to follow suit. They rented an apartment, with kitchen, couches and balcony, and it became their informal workplace. Despite its comforts, the apartment was also large. It included a large common room and three smaller ones. 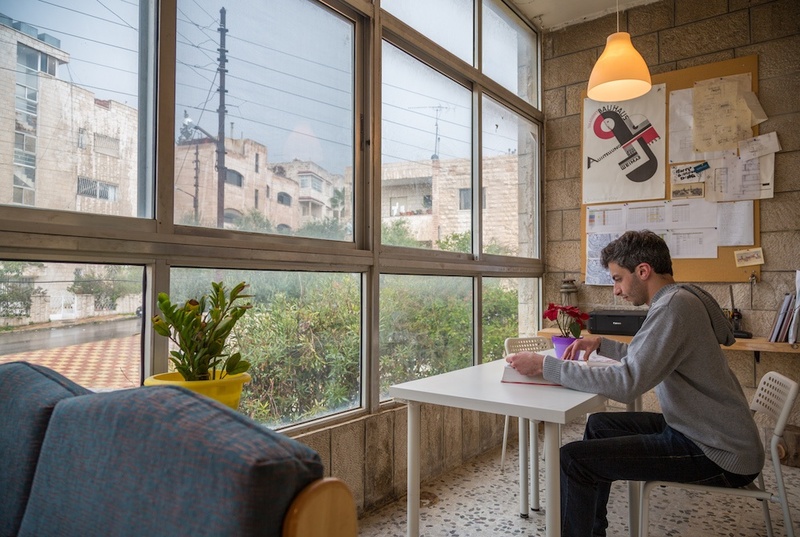 At the same time a mutual friend from Germany, who had been commissioned to Arabize the Helvetica typeface, was looking for a workspace in Amman. 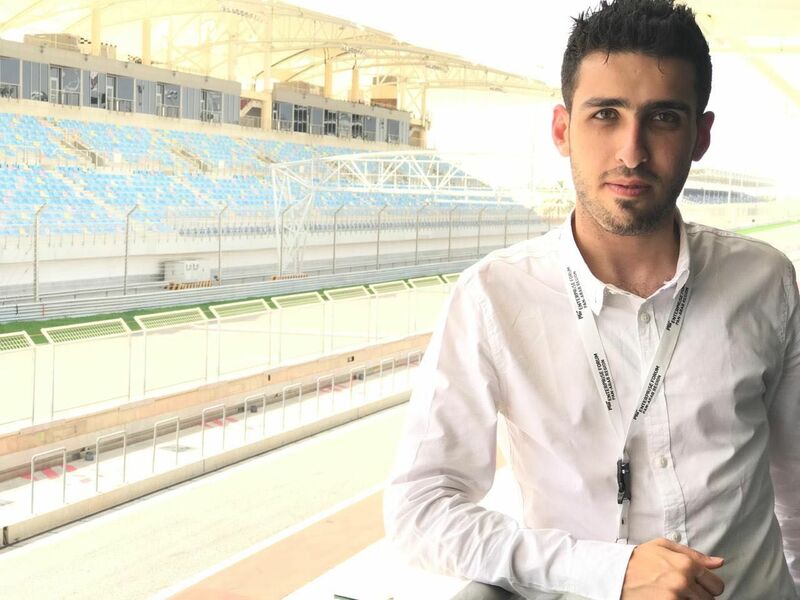 He became Hayyez’s first tenant. Since then a stream of tenants, including a graphic design startup, academics, journalists, a painter, and other freelancers have used the apartment as a workspace. Hayyez mostly attracts freelancers in the graphic design or architecture fields, according to Maurice. Fees starts at 75 Jordanian dinars (US$105) per month, per desk, and are paid in three-month cycles. Tenants can reserve either individual desks in the common area or private rooms, which are more expensive. The space holds about ten tenants comfortably. Maurice says they interview all potential candidates to ensure they’ll be a good fit. Overall the space is very relaxed - but accountability is key. If people can’t clean up after themselves, tenants can be, and have been, asked to leave. A good indicator of how a tenant treats the space stems from a simple rule. “We ask people to bring their own plant,” Maurice said. The health of a person’s plant generally indicates how dedicated to the space they are. “It’s not just a place where they clock hours and then they leave,” says Maurice. Running an alternative, off-the-grid workspace has its obstacles. “The biggest challenge is financial. It’s not a profit-based space,” said Maurice. Fees go to rent and utilities, but as the space is informal, people come and go regularly, meaning in short-order the space can be under-filled, with the next rent check looming. Sometimes Maurice ends up paying out-of-pocket to keep the lights on. Another challenge results from the same sleepy-residential area that gives Hayyez its laid-back charm, but from a cultural angle. Hayyez attracts a diverse array of tenants, both male and female. Some of their neighbors regard them suspiciously, unaccustomed to multiple men and women intermixing in a shared apartment and keeping odd hours. “We looked at other apartments and some landlords wouldn’t allow us to rent,” says Maurice. Their current landlord was willing to overlook the cultural taboo, but it wasn’t easy. “It had a price tag for his tolerance,” added Maurice. Hayyez's rustic atmosphere is designed to be the opposite of an office. Without Hayyez, Maurice doesn’t think there would be a designated space for Amman’s design community, which is small. Amman features several coworking spaces, such Oasis500 and the Zain innovation campus (ZINC), but these cater to startups. There isn’t a support system in place for freelancers, particularly for designers. Many of Maurice’s architect peers left Jordan for opportunities abroad; she hopes that a space like Hayyez can help stem that tide, giving the design community a rallying point. 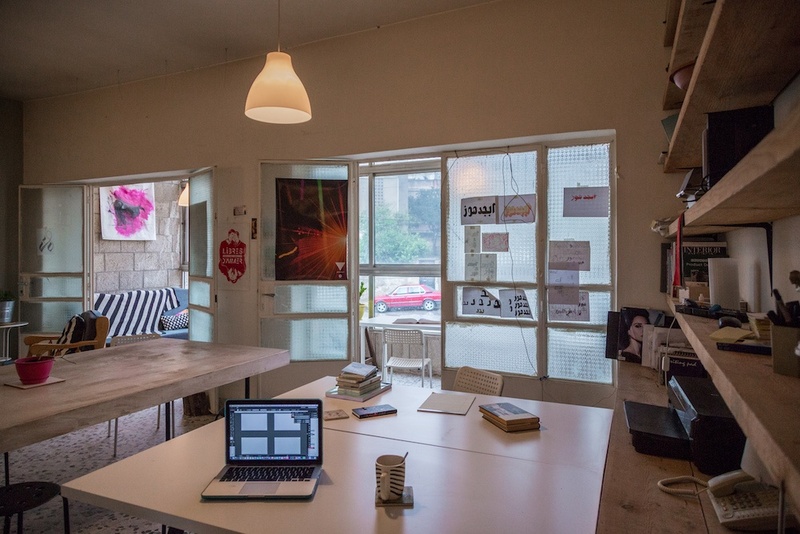 In the process, Hayyez joins the broader effort, led by mainstream coworking spaces and support networks, to create an atmosphere for innovation and creativity in Jordan - an important undertaking. But Hayyez’s cofounders aren’t letting this go to their heads, and are staying true to their founding principle.